If you thought your old friend Snow Leopard was getting a little long in the tooth, fear not: Apple has released Mac OS X 10.6.7, the latest update to the venerable feline. In addition to providing the standard enhancements for stability, compatibility, and security, 10.6.7 improves the reliability of Back to My Mac, resolves an issue with transferring files to SMB servers, and makes minor updates to the Mac App Store. 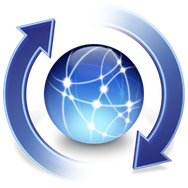 In addition, the update incorporates a number of security fixes to Snow Leopard, which are also available separately as Security Update 2011-001. Other fixes packed into the update include additional RAW image compatibility for digital cameras, an issue with MacBook Air (Mid 2010) kernel panics, and AirPort driver issues. In addition, brightness on external displays and projectors is improved, as is a DVD Player playback issue on 64-bit Macs. Also fixed is a rare issue in Mac OS X 10.6.5 that could cause user accounts to disappear from the Login window and System Preferences after putting the system to sleep. Mac OS X 10.6.7 is available in both server and client editions via Software Update and directly from Apple’s Website. For the full list of fixes, read on. Improve the reliability of Back to My Mac. Resolve an issue when transferring files to certain SMB servers. Address various minor Mac App Store issues. Includes all the improvements in the previous Mac OS X v10.6.1, 10.6.2, 10.6.3, 10.6.4, 10.6.5, and 10.6.6 updates. Addresses an issue with MacBook Air (Mid 2010) computers that could cause a kernel panic. Address issues in the AirPort driver for certain devices. Improves brightness on external displays and projectors. Addresses an issue where DVD Player may display black video on some Macs using the 64-bit kernel. Addresses an issue with some NEC displays in which the screen may appear black when connected to a Mac Pro (Mid 2010). Resolves an issue in which some Multiple Master (MM) fonts were missing from Mac Pro (Mid 2010), MacBook Pro (15-inch & 17-inch Mid 2010), and iMac (Mid 2010) computers. Addresses various issues with MacBook Air (Mid 2010) computer performance. Resolves an issue in which clicking the Updates tab in the Mac App Store could cause the Mac App Store to become unresponsive. Fixes a problem opening an afp:// URL that points to a file, and changes the AFP mount path to conform to previous Mac OS X releases. For details, see article HT4538. Includes the ability to repair certain issues that may prevent hardware RAID volumes from mounting. For more information, see article TS3631. Fixes a rare issue in Mac OS X v10.6.5 that could cause user accounts to disappear from the Login window and System Preferences after putting the system to sleep. Improves the reliability of dragging files or folders to the Trash when using an NFS home directory.